Feral and I had been wanting to get back on the Muskegon River ever since he sold his place on Rogers Pond, a backwater to Roger’s Dam, the furthest upstream dam on the Muskegon. The pond gave up huge smallmouth, northern pike, giant catfish and we saw one or two tiger muskie that were surreal. This was a long time back. We looked like hippies, our kids were toddlers, and the economy was not even a topic of conversation. Okay, a very long time ago. Last weekend we decided to do something about it and did an overnighter at Newago State Park which sits on the banks of Hardy Pond which is the impoundment/ backwater of Hardy Dam. The impoundment forms a lake with over 50 miles of shoreline so we put a few miles on my old Nissan bass boat. 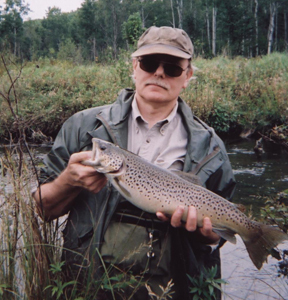 An old timer at the campground told us to fish the channels if we were after bass and pike and so that was our program – we raced upstream and pulled in several of the many channels carved into the rocky hillside. But first, more about the camping. The park has 96 rustic campsites (at $12 per night) and darned if it wasn’t almost full. I pulled in Saturday morning to get a site and it was a little confusing. There is a ranger station at the entrance ( unusual for a rustic campground) but it was closed. A sign said check the posted list of reserved sites and don’t set up camp on one of those sites, with another qualifier that said most reserved sites will have a placard with an “R” on them to indicate reserved. I drove though the loops and found a site and checked to see if it was on the reserved list – and it was open so I set up. I went back to pay and the rangers were still not there. And there didn’t seem to be a way to pay, which was important since I needed to leave in order to pick up Feral. After some looking I found campsite envelopes in an unmarked green box, and then saw there was a hidden slot for paying right above the envelopes. Here, a sign might help? The sites are not quite so remote as the online hype which seemed to indicate a small forest between each site. We were surrounded by people. Everyone was nice so it wasn’t a problem. In fact, it was very peaceful – enough folks around to feel like you are in a community, and no one so loud as to be a obnoxious. But we were there for the fishing. We needed to get our bearings and figure out some patterns and Saturday was mostly dedicated to just that – figuring out the where and how. We caught some largemouth off blowdowns and had some pike hits in the weed beds and did just well enough keep us focused. 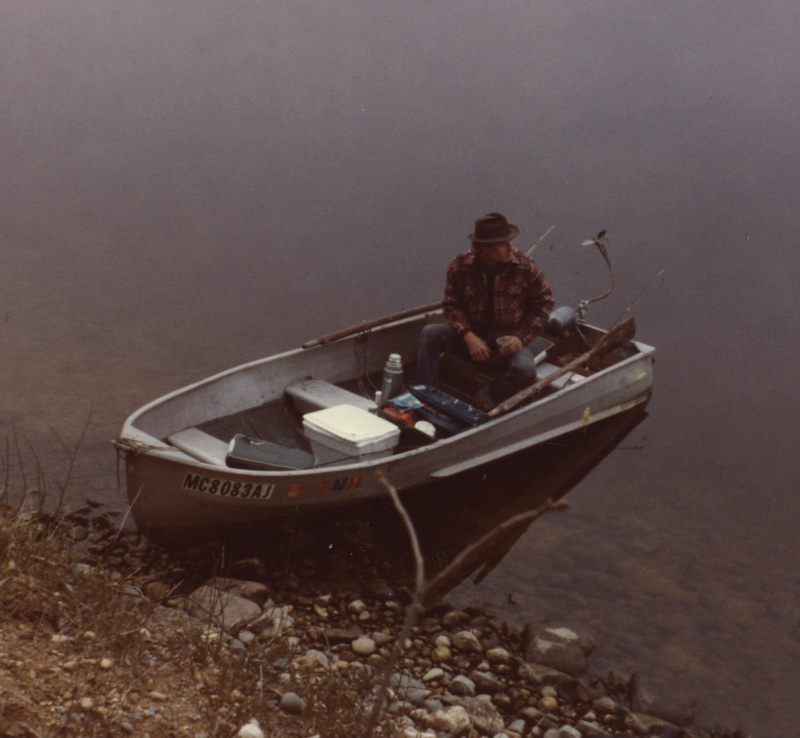 The chance for a huge pike, muskie, walleye or bass was always in the back of our minds – big water means big fish. We finally knocked off about eight o’clock and had some late dinner, a cold beer, and played some acoustic guitar. On Sunday morning we broke camp first thing so we didn’t have to worry about check-out time. The fishing was spectacular. We hit some upstream channels, and by channels I mean standing or slow water in bays that are carved out of the rocky hillside. Largemouth were congregated near any blowdowns or submerged timber. The pike would come out of nowhere and slam our spinnerbaits. We didn’t catch any monsters but we caught a lot of fish, including small and largemouth bass, pike, and some chunky rock bass. Most fishermen that fish Hardy Pond are after the walleye – so we had zero competition. While they were out fishing the main river we went from overhanging tree to overhanging tree pulling out bass after bass. What a great time!